AODIN Android 7.1 2200 Lumens 4K Smart Mini DLP LED Home Cinema Projector TouchPad Dual Wifi B..
Luxcine Cine P8 Portable LED ProjectorWith Full Android System, Cine C provides you a stable and smo..
LCD beamer support full hd video portable home cinema TV theater X20 Mini LED projector ..
1. Brightness equivalent of 1500 Lumens. Simply bright enough to be seen in moderate room light. 2. Rockchip RK3128 Quad Core Chipset, Highly efficient and Responsive. 3. 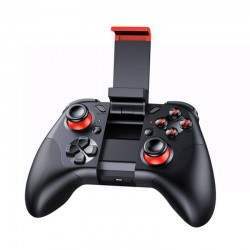 Built in Android 7.1.1 Operating System with preloaded Applications like Google Play, Kodi, File explorer, Youtube, Browser, Hulu, Showtime etc. 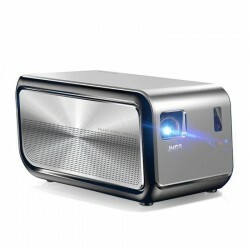 Share screen with projector display wireless to watch movies, play games, PPT Demo etc. Please download EShare APP, Then connect same WIFI, Sharing the screen. 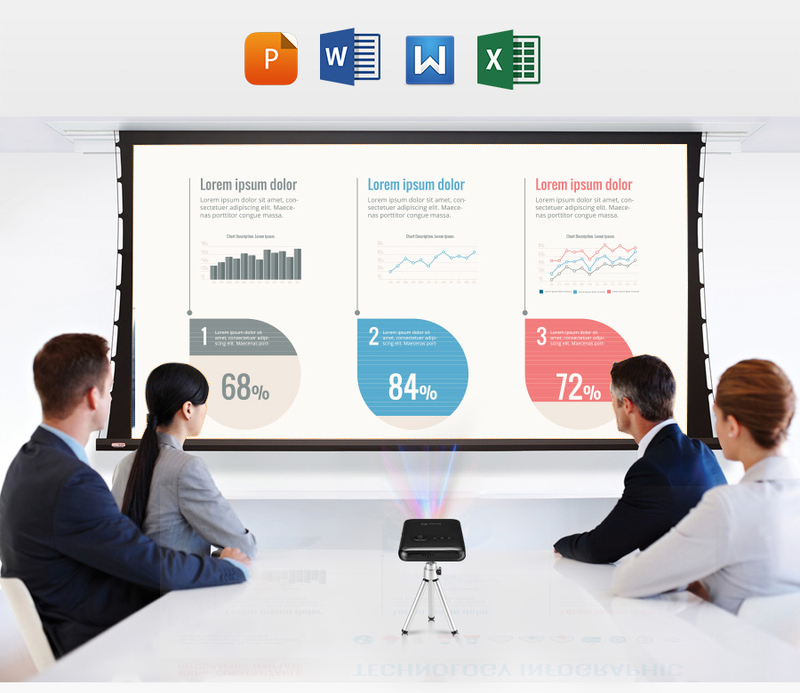 with the Smart Android System, you can run WPS/WORD/ECXEL/PPT etc Office Software in the Big Screen. 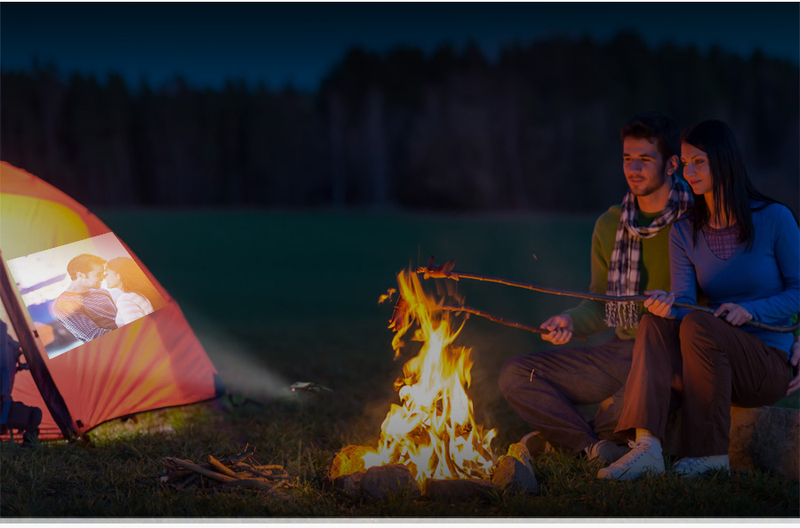 Take a spontaneous trip,Create a private movie theater for her anywhere. Digital trapezoidal correction technique is adopted, Correction of the ±40° vertical direction. Dual Band WIFI, Airplay, Blyetooth 4.0, HDMI Input etc func ation makes it easier to use. Real projection picture that shows the good brightness and vivid colors. Recommend use it in a dark room, the effect will better. 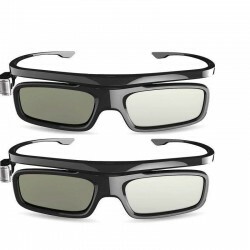 2 x JMGO DLP Glasses at Offer PriceDLP-LINK Shutter Type 3D GlassesWidely Used Support all kind.. 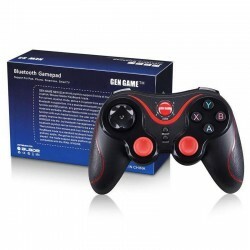 Product size (L * W * H):158*41*14mmSupperts systems:Android, Windows, Mac OS, LiluxSensor:3-Gyro + ..
S3 Wireless Bluetooth 3.0 Gamepad Gaming Controller for Android SmartphoneThis S3 Wireless Blue..